Written by Katie Lucas and directed by Bosco Ng, “The Unknown” is the first episode in the Protocol 66 arc starring ARC Trooper CT-27-5555, better known as Fives. ARC Trooper Fives isn’t the only old friend we have return in this episode, we see the usual suspects of Anakin Skywalker, Captain Rex, Admiral Yularen, clone troopers Kix and Tup, as well as the villains Darth Sidious, Count Dooku, and Admiral Trench. One of the earliest teaser trailers we got for the “bonus content” was from this episode and that brief clip revealed the execution of a Jedi by Tup and the reveal of the return of the presumed dead Admiral Trench. In this episode saw the introduction of the super tactical droid Kraken, Clone Commander Doom, and Jedi Masters Tiplee and Tiplar. 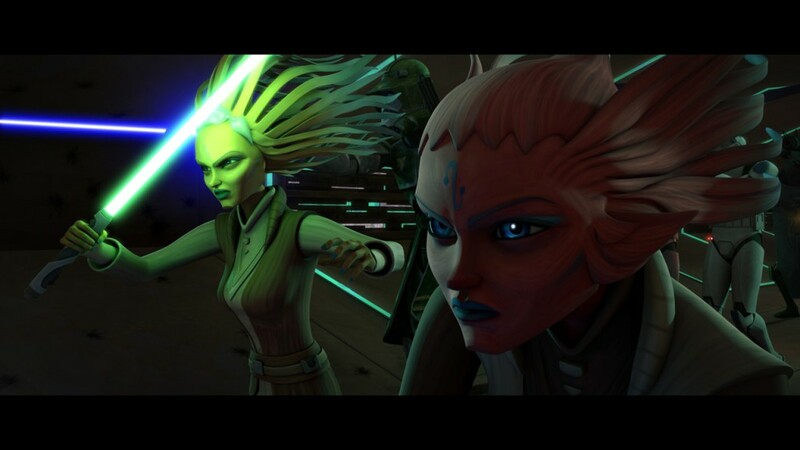 The new Jedi Tiplee and Tiplar are voiced by The Clone Wars veteran Anna Graves. We also visit the new Separatist planet Ringo Vinda and the massive ring-shaped space station that encircles it. Locked in a stalemate on Ringo Vinda’s space station Anakin, Tiplee and Tiplar are leading a new attack against Admiral Trench’s droid forces when clone trooper Tup begins experiencing some confusion. At the height of the battle as the Republic forces seem to be gaining the upper hand Tup draws his blaster rifle and murders Master Tiplar with a blaster shot to the head. Fives quickly subdues Tup who is taken into custody, but the loss of Tiplar causes the Republic’s momentum to fail and forces them to retreat. Admiral Trench monitoring the battle witnesses this and almost immediately notified Count Dooku who then contacts Darth Sidious. The Sith Lords are afraid that this event is related to protocol 66 and that if they don’t get clone trooper Tup away from the Jedi they may be able to uncover the truth of protocol 66. Tup is interrogated but he doesn’t remember or believe that he killed Tiplar. He seemingly had a psychological break and keeps repeating the phrase, “Good soldiers follow orders.” Tup is to be transported to Kamino for further examination but on the way the shuttle carrying him is attacked and droids take him back to the Separatists. Anakin, Rex and Fives stage a rescue mission that recovers Tup and then Fives and Rex transport Tup to Kamino as Anakin looks on wishing them luck. “The Unknown” is a mixture of action and intelligent storytelling that begins an arc that explores the nature of the clones creation, their free will and the Sith plot against the Jedi. 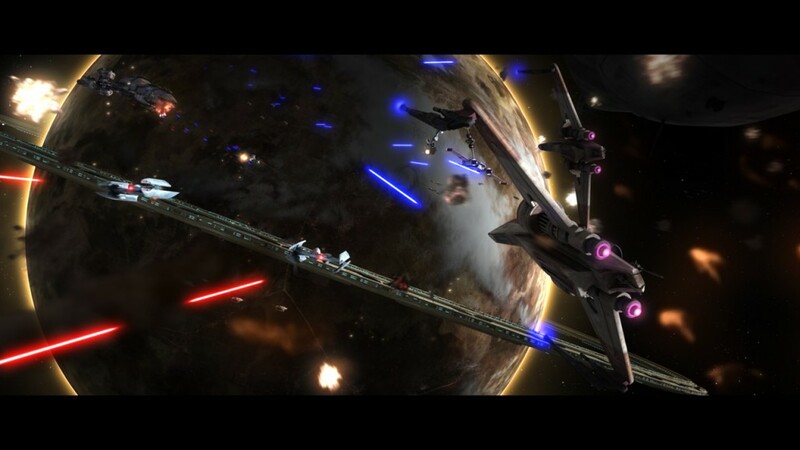 The episode opens with a terrific looking space battle surrounding a very cool new planet inspired by Revenge of the Sith concept art. We see some new animation and design in this episode, a new space suit for Anakin, a new Clone Commander in Doom, a new design for the rocket Super Battle Droids, and a new species in Tiplar and Tiplee. The animation really is top notch. There are some very cool action scenes in this episode as well, the clone troopers’ use of the shields in battle, the buzz droid assault on the shuttle, the droid assault on the clone troopers inside the Republic shuttle, and Anakin, Rex, and Fives ascension cable assault on the Separatist shuttle. I thought it was particularly dramatic that they showed the clone pilots being pulled into the vacuum of space after the buzz droids attacked. Tiplar and Tiplee raise an interesting question about the Jedi. They are said to be twin sisters and both are referred to as Masters and Generals . It would seem unusual for the Jedi to allow to siblings to grow up together and work together so closely with their worry about attachment. In terms of the clones we get to see the return of Fives. Fives is my favorite clone from the series because in terms of characterization he comes closest to the clones we saw in the Republic Commando series. Outside of Rex, Fives is also the clone we have spent the most time getting to know in this series, appearing in 10 episodes before this story arc. Fives is brave and loyal, but is also suspicious and can act rashly. One of the new clones that we met during the Umbara arc is 501st member Tup. The clone with the teardrop earned the respect of Fives during that arc and they clearly are friends as this episode opens. Fives tries to snap Tup out of whatever is affecting him before he assassinates Tiplar. The clones were designed to withstand intense psychological stress and they cannot figure out what would have made Tup snap. The Tiplee reports that the Jedi have heard rumors about a Separatist biological weapon targeting the clones, but clone medic Kix and the medical droids are not able to find anything wrong with Tup. From the films and the Expanded Universe we know that the clone troopers where flash-trained as part of their growth period and received other intensive training on Kamino. In Episode III, Palpatine issues “Order 66″ via hologram to the clones. There isn’t much more information given about it in the film except that this order resulted in the near simultaneous murder of the Jedi by their clone troopers. Order 66 has caused a great deal of discussion over the years about whether it was programmed into the clones or whether the clones did it because they were trained to follow orders and this was a seemingly lawful order given by the Supreme Chancellor. It is particularly difficult to understand because these clones would have been fighting and dying beside the Jedi that they end up murdering. In the Expanded Universe we see that some of the more independent minded clones do not follow Order 66. This episode begins to unravel the mystery about how and why the clones would follow Order 66 but it does raise questions about what we are to make of the Expanded Universe stories and how they fit in to George Lucas’s explanation of Order 66. I really enjoyed our journey into “The Unknown” rating a solid 8.5 out of 10. This was a very good episode but much of it was setting up the larger story that is to be revealed in the next three episodes. 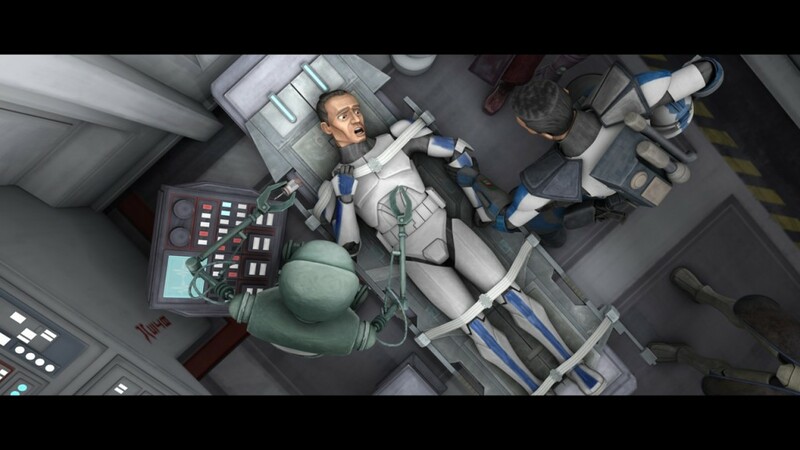 In the sterile laboratories of Kamino, the ailing clone trooper Tup and his friend ARC Trooper Fives are quarantined for examination following Tup’s shocking murder of a Jedi Master. With the help of medical droid AZI-3, Fives is determined to get to the bottom of Tup’s condition and uncovers a secret buried deep within the Republic’s cloning program. You can watch all the episodes of The Clone Wars now on Netflix. Stay tuned to LightsaberRattling.com as I continue to examine the remaining episodes of Star Wars: The Clone Wars Season Six.